Exercise is great for you and all, but who has time for over an hour at the gym after a long work day? Unfortunately, a lot of people abandon their fitness ambitions because of time. Little do they know, any amount of exercise is good exercise. A recent study published in PLOS ONE has revealed that taking a 15-minute walk when food cravings hit can help curb hunger pangs before you can give into your sweet tooth. Researchers from the University of Innsbruck in Austria and Adrian H. Taylor of Plymouth University in the UK recruited 47 overweight adults with a penchant for sugary snacks. Each participant was asked to abstain from sugary snacks for three days before they were randomly assigned to one of two groups. The first group was asked to go on a 15-minute walk before unwrapping sugary snacks that they were asked to avoid, while the second group remained sedentary. 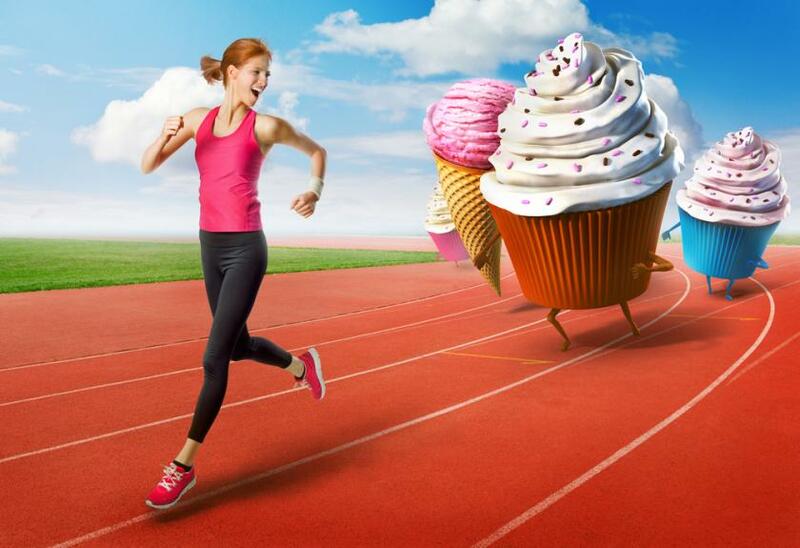 Results showed overweight participants from the first group had an easier time keeping their sweet tooth at bay after their brisk walk compared to participants who did no type of physical activity. Past research on acute bouts of exercise has revealed some serious beneficial effects of exercise lasting no longer than 15 minutes. Evidence has even shown that adolescents from low-income backgrounds who exercise for only 12 minutes a day can significantly improve their performance in the classroom. A similar study conducted at the University of Exeter found that a 15-minute walk each day can cut chocolate consumption in half. A total of 78 participants with a chocolate weakness were asked to complete a 15-minute walk before they were given either a low-stress task or a stressful tasks. The research team made chocolate available to all participants while they completed their task via a bowl filled with “treat size” or “fun size” chocolate bars. Participants who exercised beforehand consumed 15 grams of chocolate compared to 28 grams among participants who did exercise. Source: Ledochowski L, Ruedl G, Taylor A, Kopp M. Acute Effects of Brisk Walking on Sugary Snack Cravings in Overweight People, Affect and Responses to a Manipulated Stress Situation and to a Sugary Snack Cue: A Crossover Study. PLOS ONE. 2015.